Striving to become the most trusted and diverse trading infrastructure in the world today, Ibinex has come up with a highly sophisticated network which imbibes both centralized and decentralized topology. The amalgamation of these dual features assures to offer top-end solutions to eliminate the biggest challenges of the cryptocurrency world. Going in terms with Ibinex’s Decentralized network, no individual person has control over the entire system. And in the centralized aspect, one party, i.e., Ibinex, offers all the solutions to the network. The platform has been developed with redundancy in mind, so much so that if a business is attacked or if the system is brought down, there will be no single point of failure, as everything will be under Ibinex’s brand and supervision. It also has a network of customer service agents to offer assistance in case a client is beset with any kind of doubt or difficulty. This first-of-its-kind framework by Ibinex is the perfect haven for crypto enthusiasts as it allows white-label clients to focus on the sales and marketing aspects of their business/businesses. The Ibinex team will take care of the research and development of the latest features and technologies: complete onboarding and KYC procedures, full fiat-to-crypto processing solutions with custodianship, clients’ B2C crypto liquidity strategy, wallets, OTC, banking and integrated 24/7 live customer support. 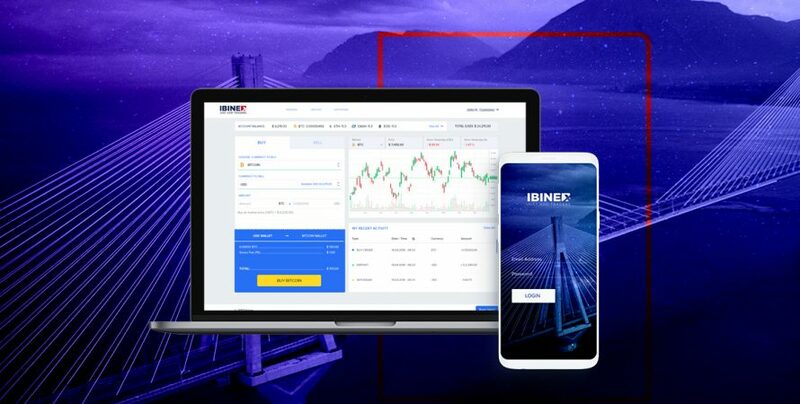 Ibinex engineers and web developers customize users’ platform as per requirements from both simple and complex traders. Ibinex services are, therefore, characterized by high-level innovation made practical for clients’ personalized exchange integration. Users are also well-informed and updated about the latest regulations and policies regarding crypto trading. Additionally, customers can now enjoy exemption from the setup fees, with a simple 0.1% fee on exchange volume afterward. The result is nothing short of an entire ‘exchange in a box’ solution! In simple terms, Ibinex can be referred to as an SDK (software development kit) product that gives developers and entrepreneurs the ability to offer their visionary products to the general public without the need for various distribution channels. It is in many ways similar to Google Play and Apple iStore—just in the crypto exchange and trading space!